This is the 1st episode of a 2 part series. It’s a collaboration with fellow podcaster Micheal Sabbat, the host of The Chat Bubble. The second episode will be available over his podcast. I remember listening to his podcast the first time about a year ago, trying to learn everything about the messaging space. So was really psyched when he reached out to me with the idea of this collaboration. 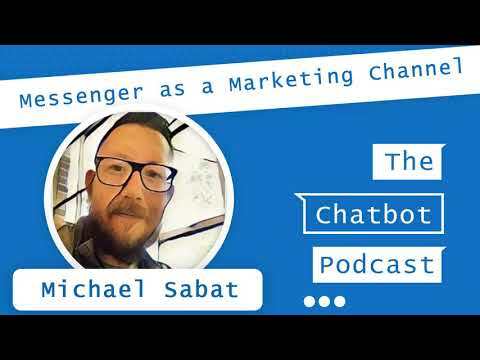 He has 10 years experience with messaging as a marketing channel and today we’re going to talk mainly about Messenger. If you are curious how much you know about Messenger Marketing, I’ve created a quiz for you. Just hop over to chatbottutorial.com/quiz and challenge your knowledge. Great content, I’m sure that messenger marketing will have it’s breakthrough by end of this year.